Shiva at 2255 Decelles, Ville Saint-Laurent from 2:00 p.m. to 4:00 p.m. and 7:00 p.m. to 9:00 p.m.
Shiva hours: Sunday following burial until 9:00 p.m., Monday through Wednesday from 2:00 p.m. to 4:00 p.m. and 7:00 p.m. to 9:00 pm. Evening services at 7:30 p.m.
My deepest condolences to the Hart family on the he passing of David Hart. My late father and I always enjoyed his company when he came to our clinic.He would share some of his wartime memories with us. It was both a privilege and honour to have known him. My condolences to the Hart Family. I am the daughter of the late Dr. Harry Ironstone. M y deepest condolences to the Hart family on the passing of David. On Behalf of the Murray Family I extend our deepest condolences. My Father (Grant who passed in January) and Mother Isabel spoke of David often and considered him a great friend and a true gentlemen in the finest sense of the word. My Brother and I met him at a family party where he modestly shared a few wartime experiences. Speaking for both of us; we have the deepest respect and gratitude for his service to our country. My deepest sympathy to Miriam, and the family. I knew him for a long time as a gentle, jolly, caring and wonderful man. My condolences to the Hart family. I was fortunate to have worked with David in his accounting practice during the period 1979-1985. He was truly a special human being. To the Hart Family: Sincere condolences to a Canadian and world hero on behalf of the Montreal community. He was a true gentleman and will be missed: condolences to Miriam and the family. To Mrs Hart and family , my sincere condolences. Mr Hart was a special man and I can never forget how he always took care of his wife and the way he looked at her. They were true soulmates. My thoughts and prayers are with you all. My sincere condolences. He was a lovely man. Michael, please accept my sincere condolences on the loss of your father. From all the tributes, he was an extraordinary man. My most sincere condolences to Miriam and family. I shall forever cherish the memory of the half century of achievements and examples leadership and commitment I witnessed. David was a dear friend and an outstanding soldier. I had the privilege to meet Col Hart on many occasions during my career. It was always a pleasure to see him. A true heroe, an exceptional men and a gentlemen. My sincere condolences to the Hart family and friends. RIP Col Hart. Leslie, my deepest condolences to you and your family. Remember all the good times. Please accept our deepest condolences for your family’s loss. Colonel David Hart served with honour and distinction for his country and our freedom. His legacy will continue to inspire us all. May He Rest in Peace. Our deepest sympathies to you and your family Mrs. Hart. HCol Hart was such a huge inspiration for me. I always cherished any time I could spend with him, listening to his stories and learning from him. My sincere condolences to the Hart family on your loss. As president of the Honorary Colonels of the 2nd Canadian Division, it has been my honour and pleasure to be associated with HCol.Hart for many years. His presence and support for the Canadian Army has been a great source of inspiration for all ranks. He will be truly missed. I was deeply saddened to hear of David’s passing. A true giant in stature. Valour honor duty respect more than mere words David personified and dignified these ideals throughout his life. May our thoughts and prayers bring you comfort and ease the pain of your loss. Dear Michael and Leslie, My deepest sympathies to you on the passing of your father. May he Rest In Peace and may the family be spared any further sorrow. My sincere condolences to the entire Hart family. I had the wonderful pleasure of meeting Colonel Hart many times over the years when I accompanied my late husband, Colonel George Javornik, to various military functions. I always enjoyed talking with Colonel Hart and hearing about all his wonderful life experiences, especially his military adventures and achievements. He was a true hero. He was always smiling and it was obvious he enjoyed spending time with his military family. Colonel Hart was a true gentlemen and a devoted husband – always making sure his beloved wife, Miriam, was OK. Miriam, my heart goes out to you. My deepest, heartfelt sympathies to you and your family. Thank you very much for your brave actions as a soldier, Colonel Hart. The Dieppe Raid was actually a coverup attack to capture an Enigma code machine. That successful raid helped immeasurably in the victory over the Nazis and saved countless lives. For that the world is in your debt. My late father was in Camp Gagetown NB when word of the raid arrived. A Captain assembled the men and asked that the Catholics assemble “over here” and the Protestants “over there” for memorial services. My father asked; “Where do I go? I am Jewish.” The Captain replied ; “Are you Jewish Protestant or are you Jewish Catholic?” Again! Thanks for your efforts! May your family and friends continue to remember you, with great admiration. my deepest sympathy and sincere condolences on your loss. As a member of his beloved 712 Communication Squadron, I had the opportunity of benefiting from his wit, his wisdom, and his grace. He was a not a tall man but he was a giant of a man. It was an honour and a true privilege to have known him. Dear Leslie and family My deepest sympathy on the loss of your dear father. May your wonderful memories be a comfort to you at this difficult time. My condolences to Miriam and family on the passing of Colonel David Hart, a brave soldier, a fine gentleman, and a dear friend. Canada, and the Canadian Army, will not forget him. My most sincere condolences dear Leslie, to you and your family. Quite a person your father, to be really proud of him. Love. Juan. My condolences to you on your loss, Leslie, and to all your family. .
Janet and Norman extend our deepest sympathy to the family on your loss. On behalf of the Military Communications and Electronics Museum Staff and Volunteers I want to pass on our deepest condolences. Miriam and family we are thinking of you on the loss of your loved one and the incredible life he led. My deepest condolences to the Hart family. I had the enormous pleasure and honour of meeting Col Hart many times over the years at the RMR Mess. He was always so kind and distinguished. I feel blessed to have been able to chat with him one last time at November's Remembrance Day ceremonies. Dear Miriam and the family of Col. Hart, It was my honour to have been able to interview David and you in your home in 2015-2016 for my book "Double Threat: Canadian Jews, the Military and WWII". He features prominently in the book, as he talks about his experiences before the war, growing up in Montreal, meeting you, serving in Canada and overseas, and how he and two his brothers were at Buckingham Palace to receive his bravery medal. He was also an email "pal" (do they call it pen pals anymore?) and helped me greatly editing some key chapters in the book especially to teach me what the word "enfilade" meant when it came to the German bullets. My deepest condolences to you all. Sincerely, Ellin Bessner. Toronto. Although short in stature, Colonel Hart towered above most of us mere mortals in terms of his character, reputation and lifetime of achievement. As someone who regularly attends the Remembrance Day services at the Westmount Cenotaph, I shall not soon forget the image of Colonel Hart, accompanied by Leslie and, up until the last couple of years, his wife Miriam, standing ramrod straight during the service, however inclement the weather. He was a remarkable man who will be sorely missed. Our condolences to Leslie and the family. My most sincere condolences for your loss. I had the privilege to work with Col Hart and will for ever cherish his memory. A man of courage and integrity, he was selfless in taking car of his family, and of the numerous soldiers that have crossed his path throughout his brilliant career as a man and soldier. I only had the pleasure of meeting and chatting with Col. Hart once a year at the RMR annual Remembrance Day dinner. He was very short but stood proud and tall and had a very firm handshake for someone in his 90s. He was a very impressive figure and someone who played down his extraordinary accomplishments. As noted in another message, he did indeed have a twinkle in his eye. May he rest in peace. Our deepest condolences to the Hart family...David was dedicated to his work,always had a wonderful attitude and it was a pleasure to work with him..
To Miriam, Leslie, and Michael please accept my sincere condolences I remember you dad quite well as he was also my dads Friend as well as his accountant! Honorary Colonel David Hart fought for his country, was decorated for bravery by King George VI, rose to the rank of Lieutenant-Colonel, became a CA, and through all of his manifold achievements, he remained always unimpressed with himself while impressing everyone around him. David held himself ramrod straight, but he had a twinkle in his eye and a chuckle on his lips. I shall miss a dear, trusted, and respected friend. A proud man who made our people proud. Yasher Koach. Dear Leslie my condolences on the passing of your dear father, David. He had a long and beautiful life. May he rest in eternal peace and may you and your family take comfort in the many great and wonderful memories of a life well lived. God bless you all. (H)Colonel David Lloyd Hart was born in Montreal on July 7th 1917. He completed his high school education at High School of Montreal and then went on to study at the Strathcona Academy. He later obtained his C.A. Degree at the McGill University School of Commerce in December of 1945, after which he began his own accounting practice, named David Lloyd Hart and Company. In 1973, he merged his practice with A. Chodos and Co. until 1978 at which time he once again became a sole practitioner. (H)Colonel Hart continues to be active in his firm to this day. (H)Colonel Hart's accounting background has helped him obtain several important positions in various organizations. In 1952, he became president of the Accountants Study Group. For the year 1962-1963 he was a member of the Council of Institute of Chartered Accountants of Quebec, and for the years 1963-1966, he was Chairman of Small Practitioners Committee. In 1968, D.L. Hart became Secretary-Treasurer of Citizen Canada Limited. He took over the presidency of this Company in 1969 until 1976. (H)Colonel Hart's military background began in 1931 when he joined the High School of Montreal Cadets. In 1936, he enrolled in the 4th Divisional Signals as a signaler in the Army Reserve. By the outbreak of World War II, D.L. Hart became a Lance Corporal. He went overseas in early 1940 and landed at Dieppe as a Sergeant in 1942. For his brave actions in this raid, D.L. Hart was awarded the Military Medal by King George VI at Buckingham Palace. In 1943, David Lloyd Hart was commissioned and became an Infantry Lieutenant by the end of the war. Upon his return, he rejoined the Signals reserve Forces Unit, and rose from Lieutenant to become the Lieutenant-colonel commanding 11th Signal Regiment in 1961. During this period of time he was awarded the Canadian forces decoration. (H)Colonel Hart retired from the Service in 1965. In April 1976, LCol Hart was appointed Honorary Lieutenant-colonel of 712th Communication Squadron, which became 34th Signal Regiment. He is presently Chairman of the Board of Officers at the regiment. He holds a life membership in the Canadian Forces Communications and Electronics Branch Association. (H)Colonel Hart also holds the distinction of being the first OR of 4th Divisional Signals, as well as that of being the first student of the Institute of Chartered Accountants to join active service, two weeks before Canada had declared war. He was the first student of the institute to receive a decoration during World War II. He maintains an Honorary Membership with the Warrant Officers and Sergeants Mess. In 2013, he was appointed as Honorary-Colonel for 34 Signal Regiment. Furthermore, on 25th October 2013 he received the C&E Branch Col-in-Chief Commendation and Medaillion serial number 3 from HRH, Princess Anne. Throughout the years, he has devoted much of his time to defend and promote the interests of 34th Signal Regiment as well as the Communications and Electronics Branch on a national and international scale. His service, career and devotion continue to inspire all members of the Regiment. Le (H) colonel David Lloyd Hart est né à Montréal le 7 Juillet 1917. Il a complété ses études secondaires à l'école secondaire de Montréal et a ensuite étudié à l'Académie Strathcona. Il a obtenu, plus tard, son diplôme Universitaire en comptabilité à l’école du commerce à l'Université McGill, en Décembre 1945, après quoi il a commencé sa propre pratique comptable, nommée ‘’David Lloyd Hart et Compagnie’’. En 1973, il a fusionné son cabinet avec A. Chodos et Cie. jusqu'en 1978 date à laquelle il a recommencé à exercer seul sa pratique. À ce jour, le (H) colonel Hart continue d'être actif dans son entreprise. Le bagage en comptabilité du (H) colonel Hart l'a aidé à obtenir plusieurs postes importants dans diverses organisations. En 1952, il est devenu président du Accountants Study Group. En 1962-1963, il a été membre de l’Ordre des comptables professionnels agréés du Québec, et en1963-1966, il a été président du Comité des petits pratiquants. En 1968, D.L. Hart est devenu secrétaire-trésorier du Citizen Canada Limited. Il fut président de cette société en 1969 jusqu'en 1976. La formation militaire du (H) colonel Hart a commencé en 1931 quand il a rejoint l’école secondaire des cadets de Montréal. En 1936, il s’est enrôlé dans la 4e Division du Canada en tant que signaleur dans la Réserve de l'Armée des Forces Canadiennes. Au déclenchement de la Seconde Guerre mondiale, D.L. Hart est devenu un soldat de première classe. Au début de 1940, il est allé à l'étranger et a atterri à Dieppe en tant que sergent en 1942. Pour ses actions courageuses dans ces attaques, D.L. Hart a reçu la Médaille militaire par le roi George VI au palais de Buckingham. 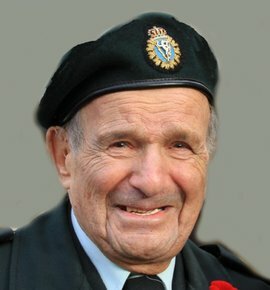 En 1943, David Lloyd Hart a été commissionné et est devenu un lieutenant d'infanterie à la fin de la guerre. À son retour, il a rejoint les Forces de la Réserve au sein d’un régiment des transmissions, et est passé de lieutenant à lieutenant-colonel commandant le 11e Régiment des transmissions en 1961. Au cours de cette période, il a reçu la Décoration des Forces Canadiennes (CD). Le (H) colonel Hart a pris sa retraite de service en 1965. En Avril 1976, le LCol Hart a été nommé lieutenant-colonel honoraire du 712e Escadron des communications, qui est devenu 34e Régiment des transmissions. Il est actuellement président du conseil d'officiers au régiment. Il est titulaire d'un membre à vie de l'Association des communications et de l’électronique des Forces Armées (AFCEA). Le (H) colonel Hart détient également la mention d’être le premier OR de la 4e Division du Canada, ainsi que celui d'être le premier étudiant de l’Ordre des comptables professionnels agréés du Québec ayant rejoint le service actif, deux semaines avant que le Canada aie déclarée l’état de guerre. Il fut le premier étudiant de l’institut à obtenir une décoration durant la Seconde Guerre mondiale. Il maintient une adhésion honorable avec le Mess des adjudants et sergents. En 2013, il a été nommé colonel-honoraire pour le 34e Régiment des transmissions. Au fil des ans, il a consacré beaucoup de son temps pour défendre et promouvoir les intérêts du 34e Régiment de transmissions, ainsi que la branche des communications et de l’électronique sur le plan national et international. Son service, sa carrière et sa dévotion continuent d'inspirer tous les membres du Régiment.